ADORED VINTAGE: Just Added: Vintage Inspired clothing! 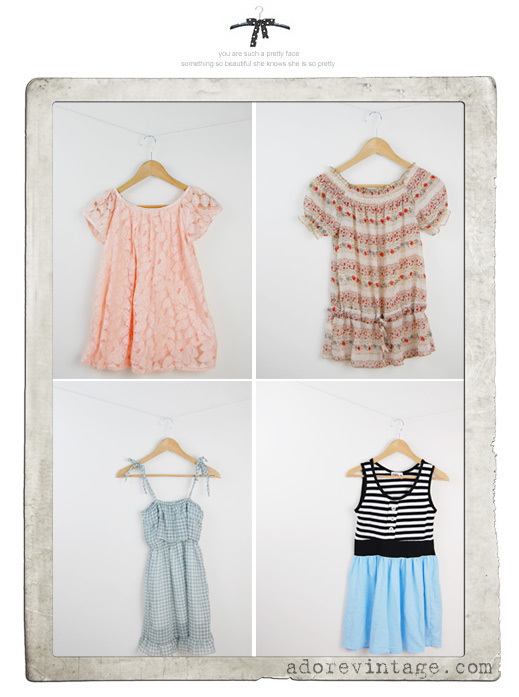 Just Added: Vintage Inspired clothing! BTW I had a bunch of fun shooting these on the line! I don't remember where I got the idea from, it's not ground breaking or anything, but I really adore how it looks. BTW, what do you gals think of the new layout of AV? I wanted to be able to show more photos and personality to the clothes so I decided to have the large collage images below the product information. Stay tuned, I am working really hard on getting some new indie designers in the boutique! If you haven't noticed Adorevintage is branching out into vintage inspired clothing as well... but don't worry, vintage goodies will still be added too! *crossing fingers* Diving head first into new waters is kind of scary, but really exciting too! Good clothing try big suits for men for your husband. We do not claim ownership of any images outside of Adored Vintage product and site photos and photos are credited to where we sourced it.